Don't be fooled by imitations that just "sit" there - without movement they're useless ! Scare pest birds away "naturally" ! *SEARCH AND DESTROY - Its mission - to rid your area of bothersome birds. *ON THE HUNT - Always moving "hunting" posture, never perching, so birds can't get used to it. 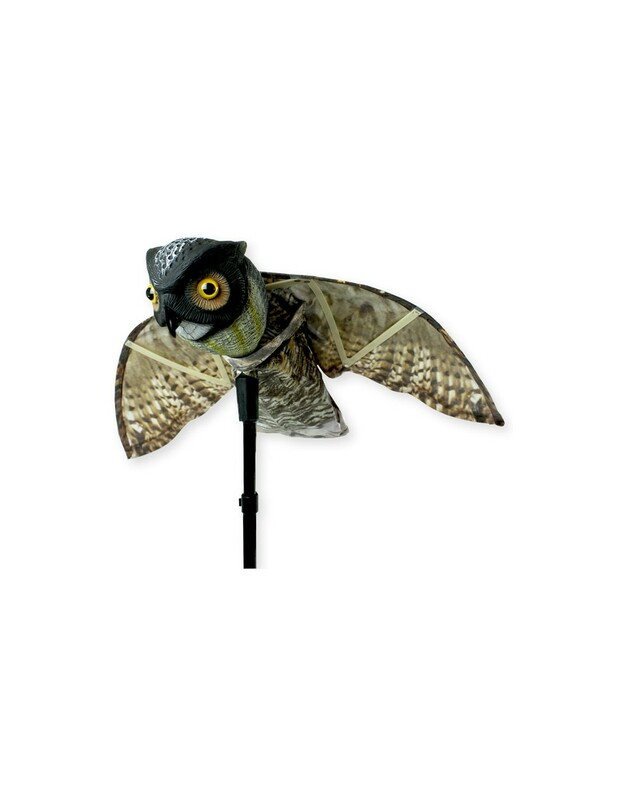 *LIFE LIKE & EFFECTIVE - Most realistic predator on the market with life size accurate markings. Spanning nearly 4 feet with patented flapping wings. *ULTIMATE AERIAL PREDATOR - Great Horned Owl: the most-feared predator catches and eats almost anything that moves, including pigeons, starlings, geese, rodents, rabbits, squirrels and even skunks. 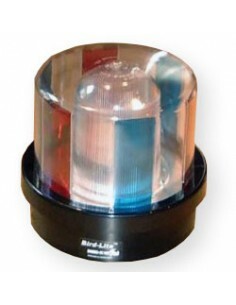 *TIRELESS - Perfect patrol for gardens, parks, golf courses, marinas, rooftops and open areas. Set it up anywhere -- the breeze and its natural appearance take care of the rest! Buy 5 or more and Save $25.00 ! 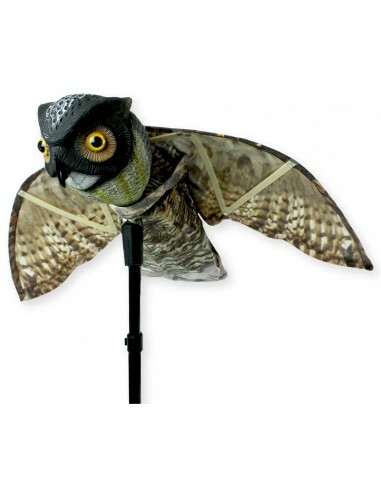 Wingspan: 44", total head-to-tail 28", head diameter 7"
Bird-X Prowler Owl Weight & Size: 2 lbs., 12" x 7" x 10"